I have long admired the free-style embroidery people are doing with their sewing machines and I've been wanting to try it. Then the MiMBY Husband came home with some lovely scraps of MacKenzie-Childs fabrics and I thought "butterfly." Of course, THAT was several months ago. Then I was wondering around that Place of Lost Hours and found people making really cool fabric bugs. That was a few months later. How stunning is that?? From Iro Fiber Art. Then, there is this Mr. Finch dude from the UK. He likes moths. And fungus. 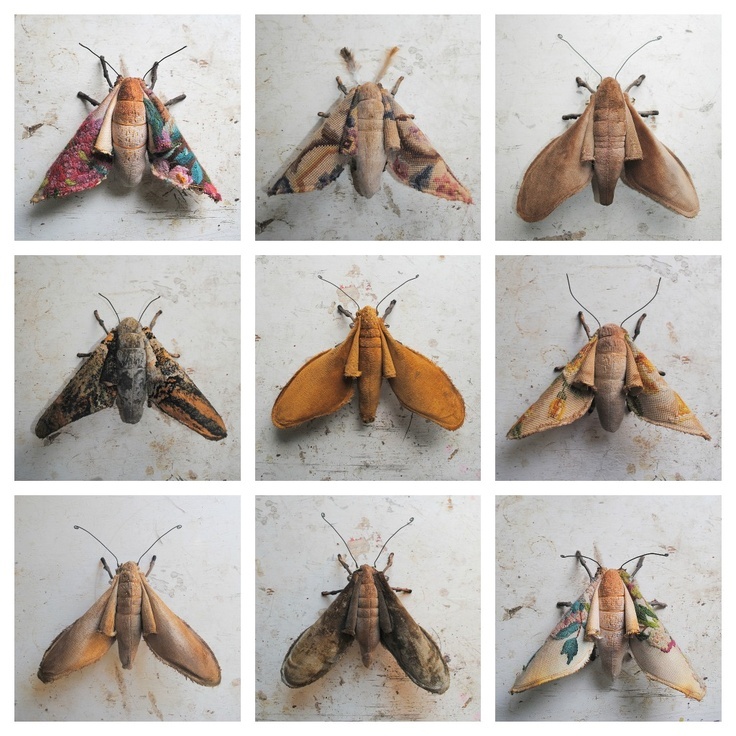 I like moths and fungus, but I never thought about actually making some. Now that I've reexamined these influential creators, I'm feeling like my butterfly is a little ho-hum. I tried not to look too closely at what they were doing, and isn't that in evidence. I wanted my butterfly to be my own creation, and that it is in it's very flat two dimensional state. 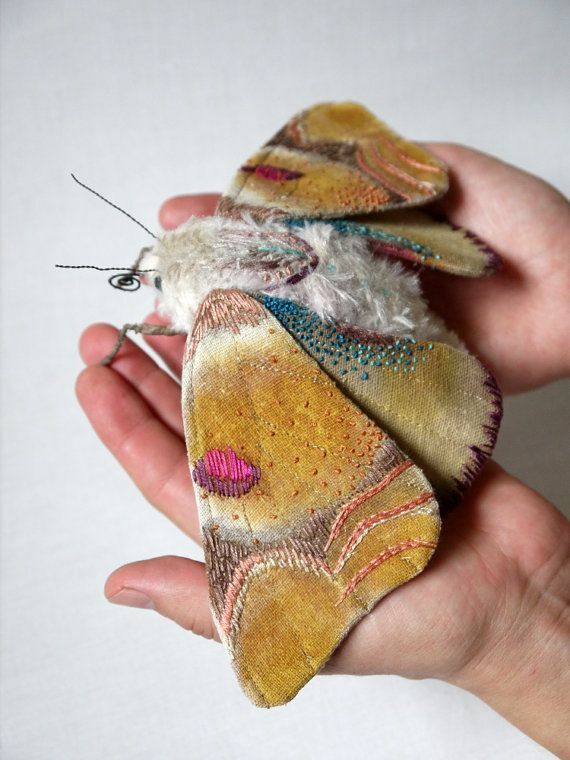 I did enjoy needle felting the body and I can see all kinds of fun to be had in that regard. But study those influences closely - there is painting going on! Drawing with thread! Sculpting! I am in awe. I am going to try to copy. I am going to hang my butterfly in the MiMBY Girl's room because she loves it, and I am going to do what art students have done for generations and copy the masters. And then I'll make some more bags because I'm actually good at that.